The late Mrs. Bush personally invites you to join the Ladies for Literacy Guild of Houston. In the spirit of service, the Ladies for Literacy Guild mobilizes resources to foster a love of reading through the power of literacy. 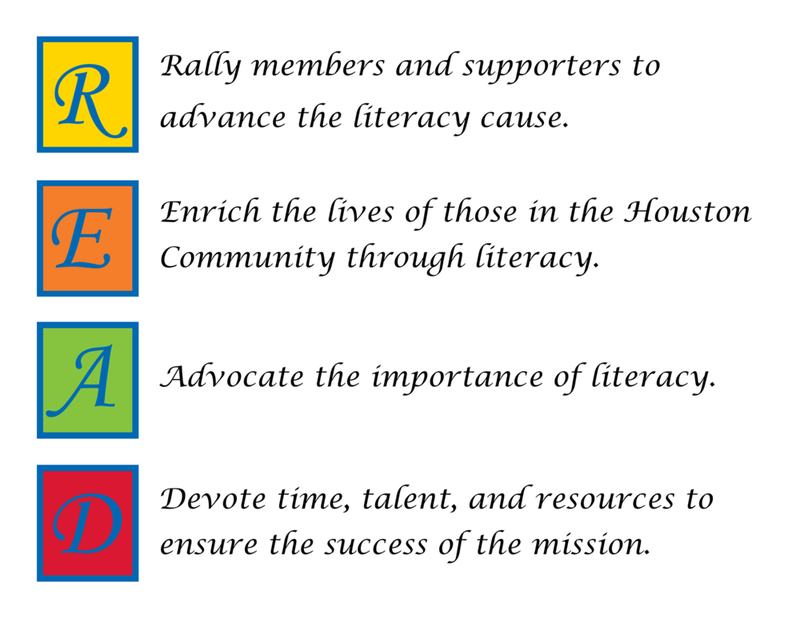 Ladies for Literacy Guild is a dynamic group of women committed to carrying forth Barbara Bush’s legacy in literacy and supporting the Barbara Bush Houston Literacy Foundation. The Foundation’s mission is to improve lives through the power of literacy—the ability to read, write, speak clearly and think critically. To aid in the advancement of the Foundation's mission, the Guild hosts several signature events and initiatives. The Guild hosts a signature Power of Literacy Luncheon each year in the Fall. The event features prestigious keynote speakers and raises funds to support Guild initiatives and other literacy programs throughout Houston. The Guild, in partnership with the Harris County Public Library, hosts the Curiosity Cruiser, a one-of-a-kind mobile library that travels to low-income neighborhoods and provides children and their families access to books, offers educational programs that integrate science, math, art, reading, technology and writing and provides family literacy events. Look for the Curiosity Cruiser on the streets of Houston starting in the Fall 2017. The Guild hosts the Annual Community Book Drive to increase the availability of books in low-income households. All books collected are donated to local literacy organizations or used to stock the Curiosity Cruiser. In 2018, the Guild collected 50,000 new and like-new children's books. The Guild supports the Foundation’s efforts in mobilizing volunteers to serve in schools, libraries and literacy-focused nonprofits across the community. Guild members help connect the Foundation with corporations, churches, civic groups, residential facilities, universities and high schools, and other organizations to enlist their employees and members in the literacy-related volunteer opportunities. The Guild is an organization of leaders and readers, setting the example for others. Members of the Guild have exclusive access to participate in the First Lady’s Book Club in which members gather to read and share books with each other and engage with the authors.